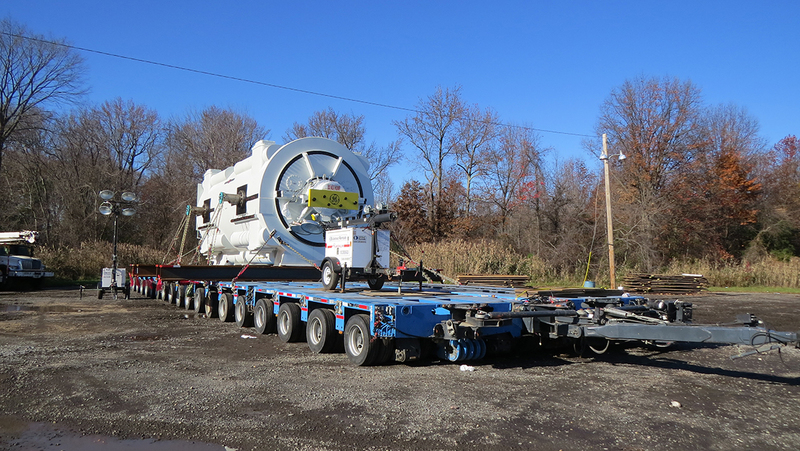 Moving a million-pound generator roughly 16 feet wide by 25 feet long from the shipping docks of Newburg, Maryland, to its new home at the CPV St. Charles Energy Center in Charles County, Maryland, had the potential to create chaos along its 20-plus-mile route. 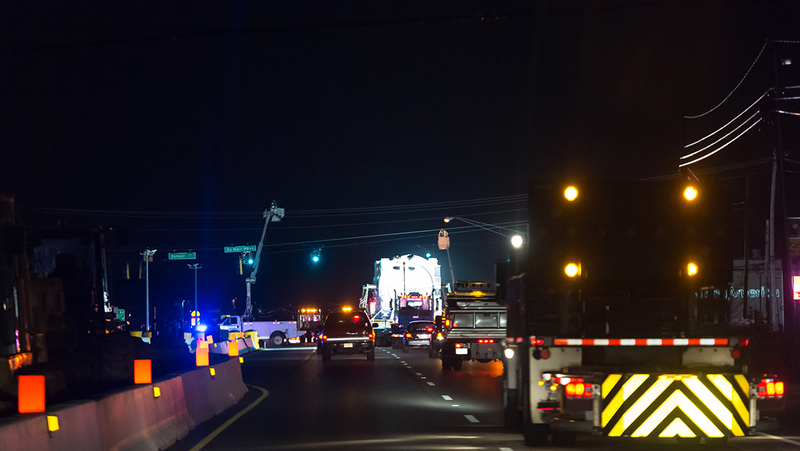 Traffic flow could be stalled because of the generator’s slow, lumbering pace; roads and bridges could be damaged by its weight; traffic lights could be struck by its height. To avoid these kinds of problems, the move took place at night, when fewer motorists were on the road. 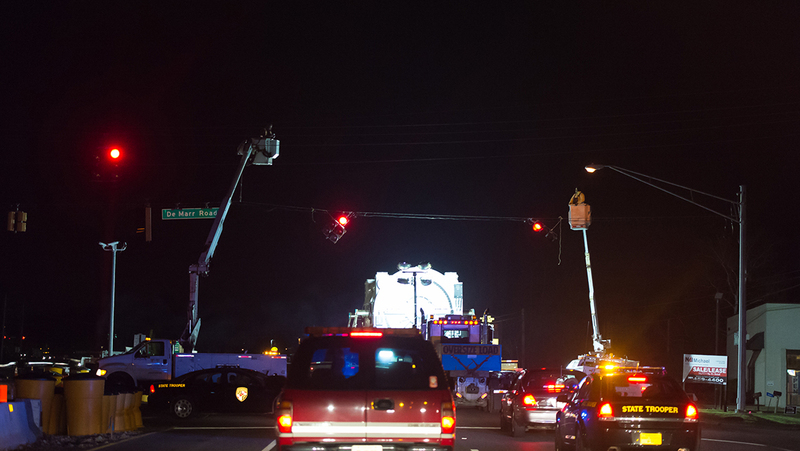 Steel plates were brought in to protect sensitive roadways and traffic lights were rotated out of the way. 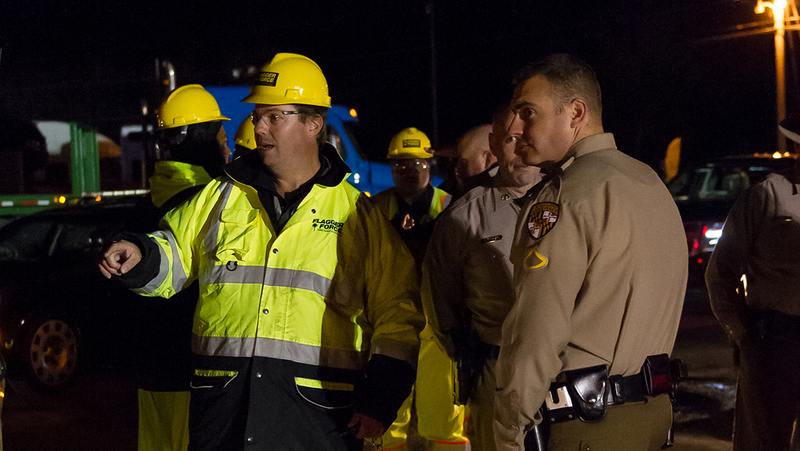 How was all of this coordinated while keeping crews and motorists safe? Flagger Force recently showed how to get that done. 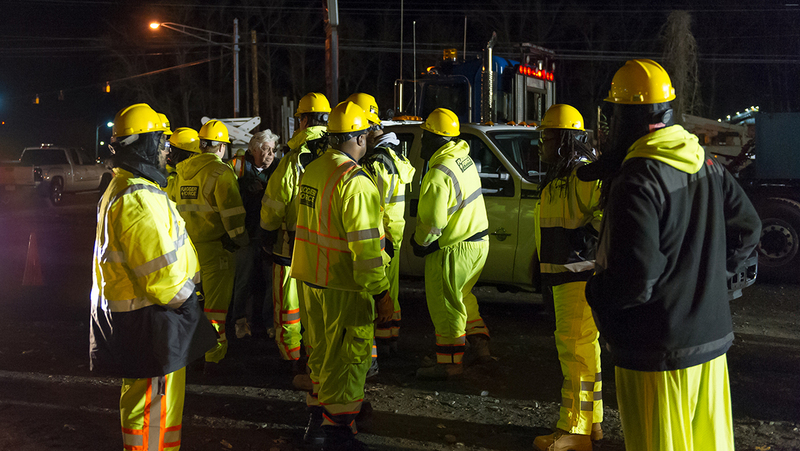 A team consisting of CPV St. Charles Energy Center (the generator’s owner), Roll-Lift USA (the company in charge of this mega move), Flagger Force, Maryland state troopers, the Maryland State Highway Administration (SHA), Traffic Systems, Inc., Southern Maryland Electric Cooperative (SMECO), Verizon, Comcast and MetroCast worked together on-site and formed a convoy to assist in the move of the generator. Each party had its own duties to ensure travelers, utility lines and the generator itself were all safe throughout its journey. 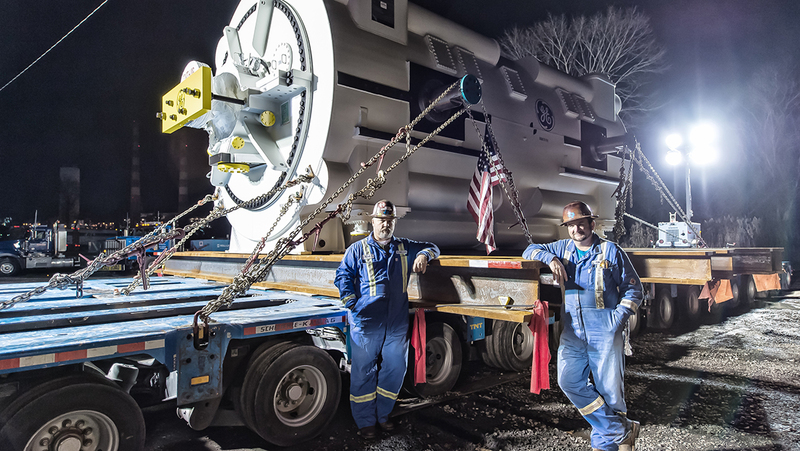 Before the move, the Flagger Force team spent more than 100 hours putting together a strategy for this particularly complex project. 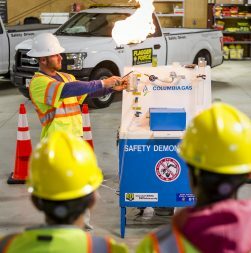 The planning hours consisted of detailed scouting up and down the route and coordinating safety and permissions with local utilities and municipalities. All this preparation allowed Flagger Force to create a comprehensive traffic plan for Roll-Lift and SHA to review and approve prior to the move date. This was not the first time Flagger Force assisted Roll-Lift with a project. Since the summer of 2015, the two companies have collaborated on eight mega moves. The previously executed moves required an equal number of planning hours. 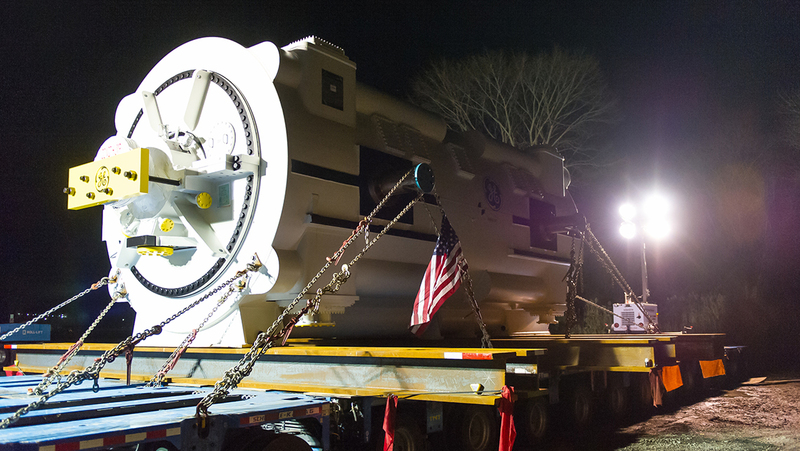 However, due to the extreme size and weight of the generator being moved this time, additional resources were required to pull it off. Seasoned Flagger Force crews were crucial to the safe, quality execution of this project. This mega move traversed several types of roadways, the most challenging of which was Crane Highway, with its posted speed of 55 mph. 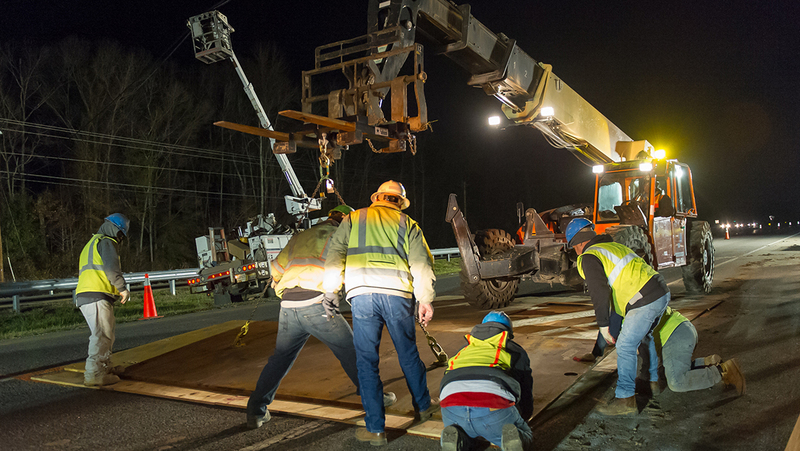 Roll-Lift and SHA needed Flagger Force to work with state troopers on monitoring traffic intersections as Traffic Systems, Inc. rotated the arms of traffic lights hanging over the roadway to prevent them from being taken out by the generator’s height. 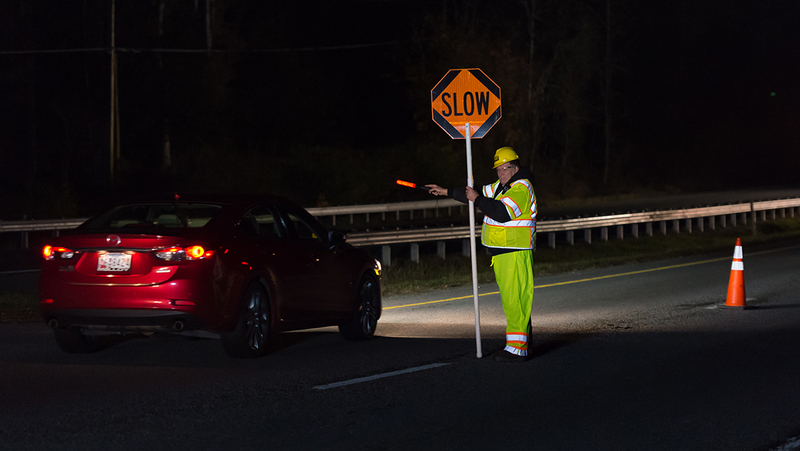 Flagger Force also needed to work with utility companies as they raised power lines that were stretched across the highway to allow the generator to pass. Truck-mounted attenuators were used to warn motorists and protect workers at both active flagging areas and at the end of the convoy. 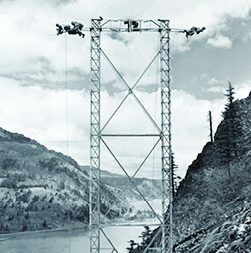 The most difficult part of the job for Flagger Force was having Crew Members stationed along the highway, where steel-plate bridges were temporally installed to prevent the weight of the generator from crushing the underground utilities. Thanks to the hours of preplanning among all the players involved, the move was completed in a safe and efficient manner. 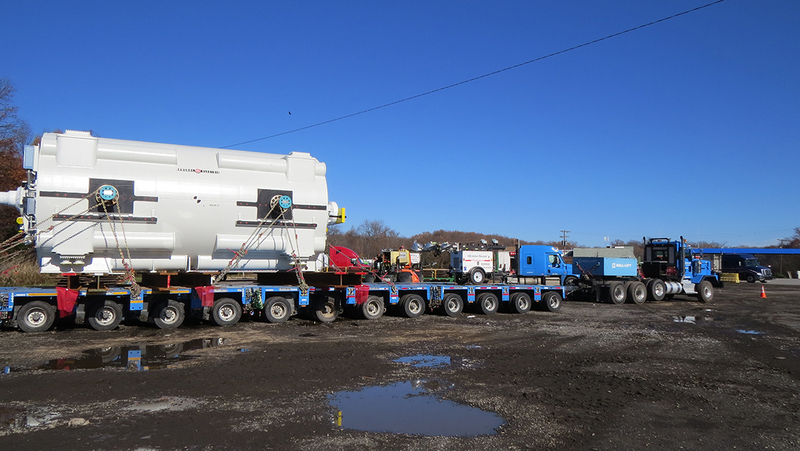 With a comprehensive traffic plan in place for a mega move, you can be sure your crew, the traveling public and your load will remain safe throughout the journey. 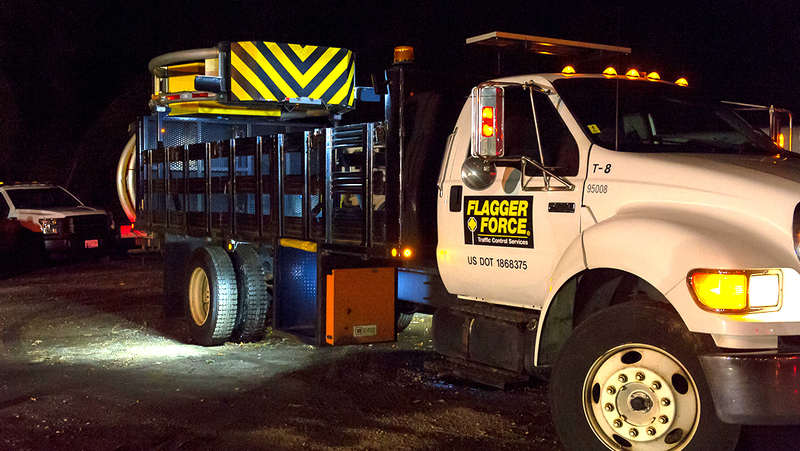 At Flagger Force, we have the experience and competence to handle any oversize load traffic control operations. We take the time to sit down and discuss your project in detail with you beforehand, so we can take into account the type of traffic control we’ll need, the number of flagmen and traffic guards, the types, quantities and positions of signage and all necessary safety and buffer zones. 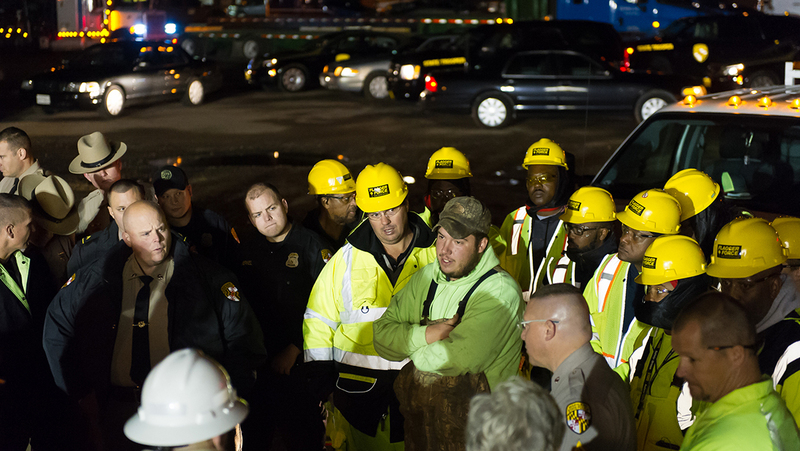 When we plan traffic control for oversize loads properly, we can ensure the safety of not only the workers in the zone, but also the traffic passing through. 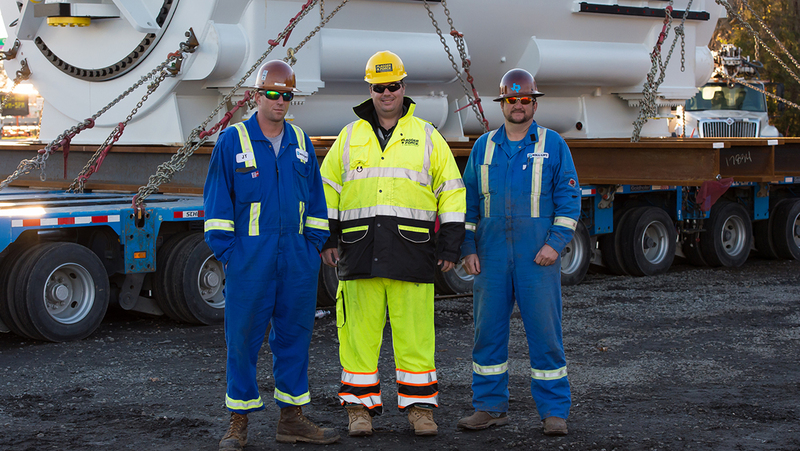 We apply our Safety-Driven culture to all jobs, and will work hard to guarantee the success of your oversize load project.